(Help Refugees) Help Refugees, L’Auberge des Migrants, Utopia 56 and Refugee InfoBus have released a report revealing police intimidation and harassment of aid workers supporting refugees in Calais and Dunkirk. You can read the full report here. Over eight months, aid workers have been subjected to 645 incidents of police surveillance, repeated ID checks, stop and searches, physical and verbal violence. They have also been forcibly prevented from administering aid to refugees in desperate need of shelter, food and water. 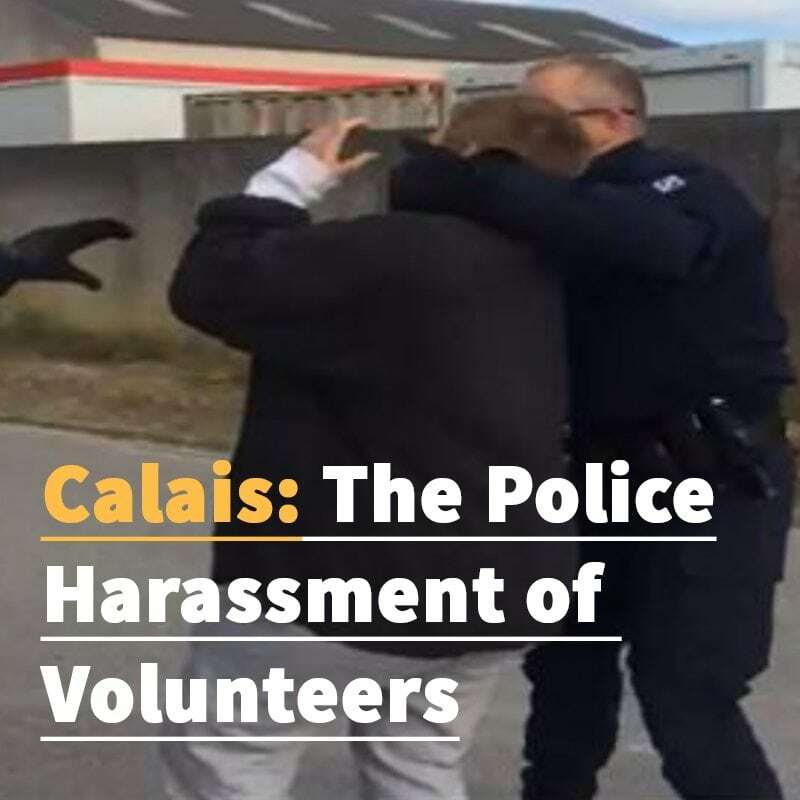 Read the full report on police harassment of volunteers in Calais. Between 1 November 2017 and 1 July 2018, Help Refugees and partners have compiled the report as part of the Human Rights Observers project. The project follows the activities of aid workers who are trained to operate peacefully and within the law in support of 1,500 refugees still sleeping rough in northern France. There have been 37 incidents of physical violence, with police pushing aid workers to the ground, snatching phones and forcing them away from distribution sites. Aid workers have experienced 104 incidents of verbal abuse including threats of detainment, prosecution and fines, some of which were followed through. Police build physical barriers to prevent aid reaching refugees and conduct a constant campaign of surveillance, following aid vehicles in police cars, filming volunteers and performing constant ID checks. A common tactic employed by the police is physical searches of aid workers, specifically targeting women. The report reveals that female aid workers were the subject of 87% of body searches, despite 57.2% of aid workers being women. ‘The scale and frequency of police harassment in Northern France is completely unjustifiable. Police forces, the very people employed by the State to provide safety and uphold the law, are violating human rights on a daily basis. The intimidation volunteers experience whilst working in Calais halts our daily operations and increases the distress and emotional toil of the situation for all those involved. You can view the full report, released by Help Refugees, L’Auberge des Migrants, Utopia 56 and Refugee InfoBus here.